What’s art doing in hospitals? 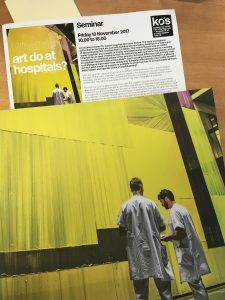 Anyone with an interest in hospital art should take a look at the catalogue for the remarkable research-based exhibition, “What Does Art do at Hospitals?”, running until April 1, 2018 at the Danish KØS Museum of art in public spaces. With six new superhospitals currently being built or refurbished in Denmark, to the tune of 5.6 billion euros, hospital art is currently in high demand. 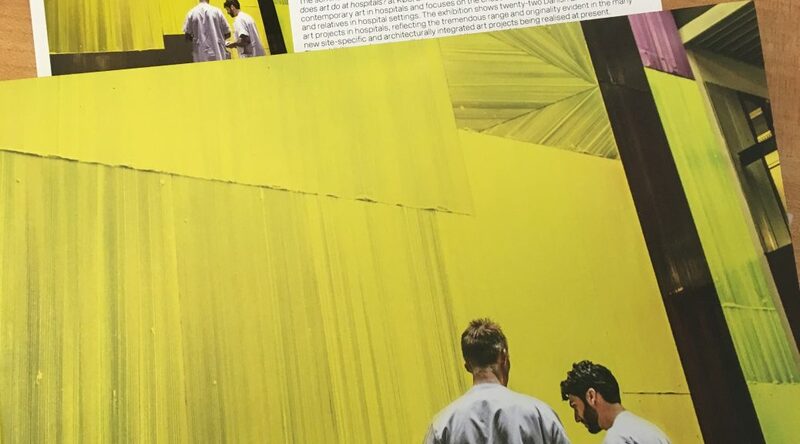 KØS curator Lene Bøgh Rønberg and her team joined forces with sociologist Annete Stenslund to try and understand some of the rationales that govern existing principles and practices of hospital art. Structuring the exhibition around 5 themes – colours, views of nature, travel and memory, identification and participation, and life and death – and showcasing examples of local as well as international hospital art projects, the team investigates the place and impact of art in hospitals, well beyond its purported role in supporting a healing processes. Through approximately 600 interviews conducted in Denmark, the project also investigates how specific art projects are being received by a range of hospital users (patients, staff, and visitors).